Christmas is supposed to be the time of the year that people devote to their families and friends. A time for spending time together, giving gifts, and building memories. If you’re passionate about VR, or even curious about it, you might consider making it a part of your Christmas experience this season. 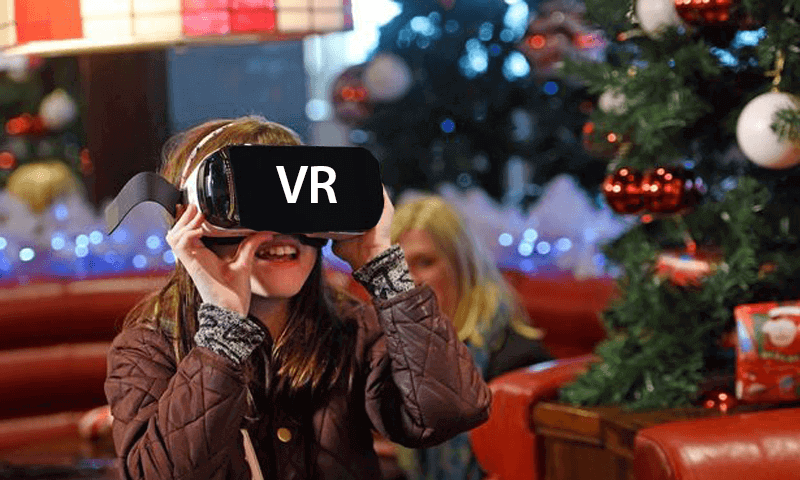 A Christmas in Virtual Reality? Is that even a possibility? Why ever not – especially as in VR, a Christmas season can be whatever you wish it to be. 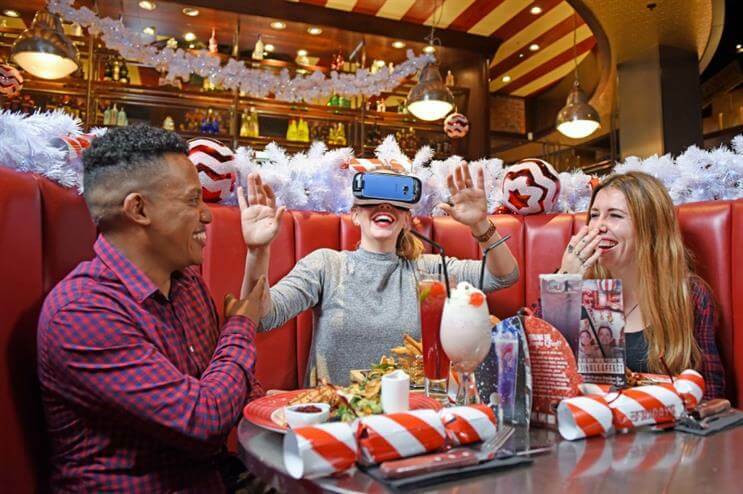 With VR headsets becoming increasingly cheaper, it’s possible for the whole family to share Christmas-themed VR experiences. If sharing experiences is what you feel Christmas is all about, then this app is the one for you. The app has a number of traditional Christmas experiences that a family could share. There’s a beautiful Virtual Christmas Tree that the family can decorate together. One can even leave a treat for Santa to find, which can be a lot of fun for children. There are old Christmas tunes that everyone loves incorporated into the app, as well as a ‘camera’ function that allows you to photograph your Christmas in VR. Since all this app requires is a Google Cardboard headset, it’s a very cost effective way for the family to enjoy a VR experience at Christmas. This is a small game inside the Santa Tracker app that is a lot of fun. The app also has quite a lot of other interesting features that you can take a look at before going on to toss snowballs in the little mini-game. It’s a lot of fun. But what if it’s snowing outside? Wouldn’t it be better to just toss real snowballs? Perhaps, but the app is a lot of fun, allowing you to play in the snow, while in the warmth of your own living room. Where else could you toss snowballs in your pyjamas, but in VR? This VR skiing app was created for the HTC Vive, and the realism of the graphics needs to be seen to be appreciated. It can be played whether you own a Rift or a Vive, and the motion controllers for both can be configured to the game, which means that if you own a pair of motion controllers, you can actually play the game while using the motion controllers as ski poles. Leaning to either side also helps control as you move down a whole range of different mountains. It’s a lovely VR experience for Christmas, and all without having to leave your home. On the other hand, some people like a change. So how about a Christmas in Vienna? This is a lovely app, full of the spirit of Christmas. It’s set in a lovely cottage from the 1930s, set in the midst of a valley in the country all covered with snow. Everything is warm and cozy, and this app will really help you and your family get into the spirit of the season. You can actually listen to an adaptation of Dickens’ immortal novel in a true Christmas ambiance. Previous articleWhat to Listen to While Using Chroma Lab?